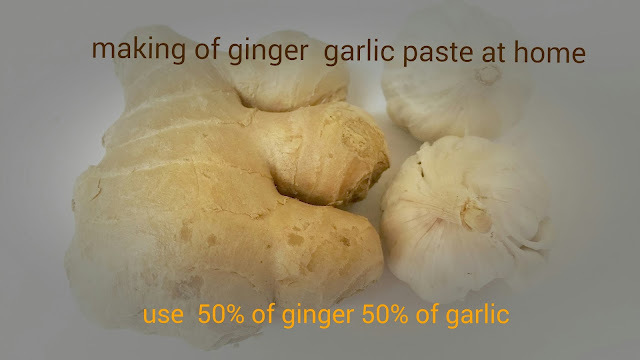 Nothing can beats freshness of home made ginger-garlic paste.Ginger Garlic paste is one of the essential part in our daily Indian cooking. Its really time saver if its made in large amount. Combine all ingredients except the oil (or water) in a blender. While blending, slowly add the oil (or water) until the paste has a smooth consistency. Place in a sterilized container, and store in the fridge.